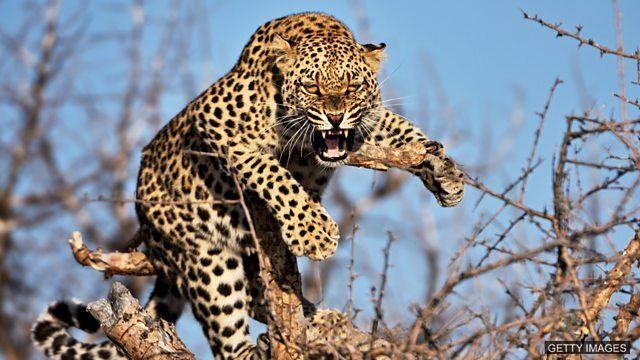 In English we say a leopard can't change its spots or a leopard doesn't change its spots to mean someone won't change. He or she will always be the same person and their bad habits are here to stay. A leopard can't change its spots means someone won't change. They'll always be the same person they've always been and they'll always have the same bad habits. You say 'a leopard can't change its spots' - in Chinese we say 江山易改，本性难移 which means, dynasties may come and go but a person's nature doesn't change. So, a leopard can't change its spots, well in Korean we have a similar phrase, we say -세살 버릇 여든까지 간다 and it basically means the habits of a three year old lasts until the age of 80 - and this basically means 'a leopard can't change its spots'. 'A leopard doesn't change its spots' - well in Spanish we have a similar saying - Genio y figura hasta la sepultura - You carry your temper and personality to the grave. So, those are a few examples of 'a leopard can't change its spots' in other languages, what do you say? This phrase means someone will never change. Alex has started to work very hard at school - that's because a leopard can't change its spots! Despite asking my boyfriend to be more punctual, he always turns up for dates late - I guess a leopard can't change its spots! I don't think that marriage will change Sophia for the better. A leopard doesn't change its spots! Yes, this is the correct use of this phrase. Raymond has managed to stop smoking for over a year - just as I thought, a leopard can't change its spots! Go to our BBC Learning English Facebook page and tell us!